Discover the world’s best spas to rejuvenate, slow down and recharge. Have you ever returned from a holiday and felt like you needed to go on another one? Travel for wellness and after just a few days you will feel more relaxed, healthy and balanced – and the serenity will return home with you. What is a Wellness Escape? Wellness Escapes are holidays where the main goal is your health, both mental and physical. Nourish your body with healthy food, pamper yourself with relaxing massages and facials, and invigorate with yoga and fitness. Add in plenty of sleep and relaxation time and you’ll be feeling like a brand new person. Certain spa brands really champion wellness to an impressive extent, incorporating it into their ethos. These include Champneys in the UK, SHA Wellness in Spain and COMO Shambhala in London and Bali. These spas all run transformative wellness programmes that will boost your health, diet and mindset – and might even change your life! 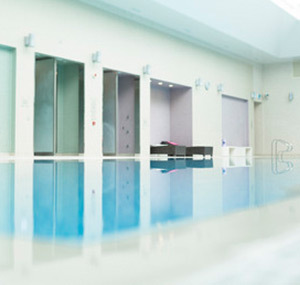 The UK is home to a diverse range of spa holidays: peaceful countryside retreats, tranquil spas on the coast and metropolitan sanctuaries all form the UK’s wellness landscape. Explore the refreshing countryside with spa breaks in the Cotswolds and Lake District, or visit Scotland for its rugged natural beauty. Germany spas have a strong focus on natural remedies, and the country’s numerous spa towns (such as Baden-Baden) have been visited by health-seekers since the time of the Romans. Spa treatments utilise nature’s healing powers: thermal hot springs, sea water, hydrotherapy and more. Sunshine and spa holidays go hand in hand, making Spain an ideal destination for a spa break. Detox and fitness programmes, macrobiotic resorts, luxury yoga retreats – Spain has a wide variety of wellness escapes to help you purify mind and body. Pristine Thailand is home to some of the most luxurious spas in Asia. What could beat a spa break on a tropical island? Experience Eastern therapies like traditional Thai massage, reflexology, holistic detoxes and healing nutritional programmes.